Have you updated your organization’s profile on these up-and-coming information hubs for nonprofits? This website is like Yelp for nonprofits. Founded in 2007, this nonprofit is dedicated to helping potential volunteers or donors connect with nonprofits that are making an impact. 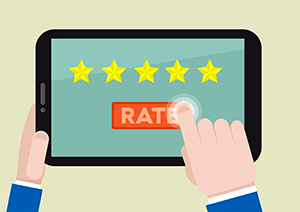 Users can rate their experiences of over 1.8 million nonprofits. Since its founding, GreatNonprofits has collected over 170k reviews from users and that number keeps on growing. If you haven’t already, we recommend you check your organization’s reviews to see if they are in-line with your perception and your organization’s mission. GuideStar is another nonprofit dedicated to informing people about other nonprofits efficacy, financial information, and objectives. GuideStar is unique in that it collects 990 Forms (Mandatory IRS Form) and publishes that information to their website. Users can then look up financial information for any nonprofit that completed these forms and evaluate how well they are serving their mission. GuideStar’s website also includes information on each organization’s missions and specific campaigns they are running. Nonprofits can then update their profiles with new campaign information and financial data. Unfortunately, a quick search will reveal that many nonprofits have not taken the opportunity to do so and are likely missing out on some savvy donors. While GuideStar is concerned with relaying financial and operational information to users, Philanthropedia (a division of GuideStar) takes this one step further by giving its users recommendations, helping them decide which nonprofits to support. It is a win-win for both sides. The upside for users is that they get easy-to-understand recommendations regarding which nonprofits to support and nonprofits benefit in that they get free evaluations and recommendations regarding how to increase their effectiveness in the future. Transparency and efficacy are becoming the determining factors that potential donors and volunteers are looking at when it comes to deciding which nonprofits to support. Like Yelp and LinkedIn, these websites are likely to become go-to stops when evaluating which nonprofits to support—so best get ahead of the curve and start building your organization’s online reputation now!